The Force EVO (left) and Troop EVO (right) from Naked Optics. 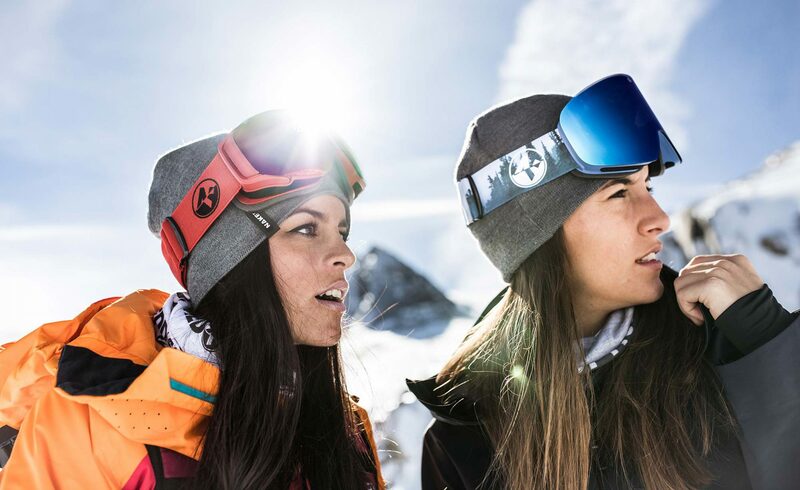 The brainchild of ski-crazed students tired of buying expensive goggles, Naked Optics was founded in Austria in 2013. Since the beginning, their focus has been to produce quality eyewear at a lower price point than the competition thanks to a direct-to-consumer model. Their hard-to-beat slogan: “Good things happen when you’re naked.” Can’t argue with that. 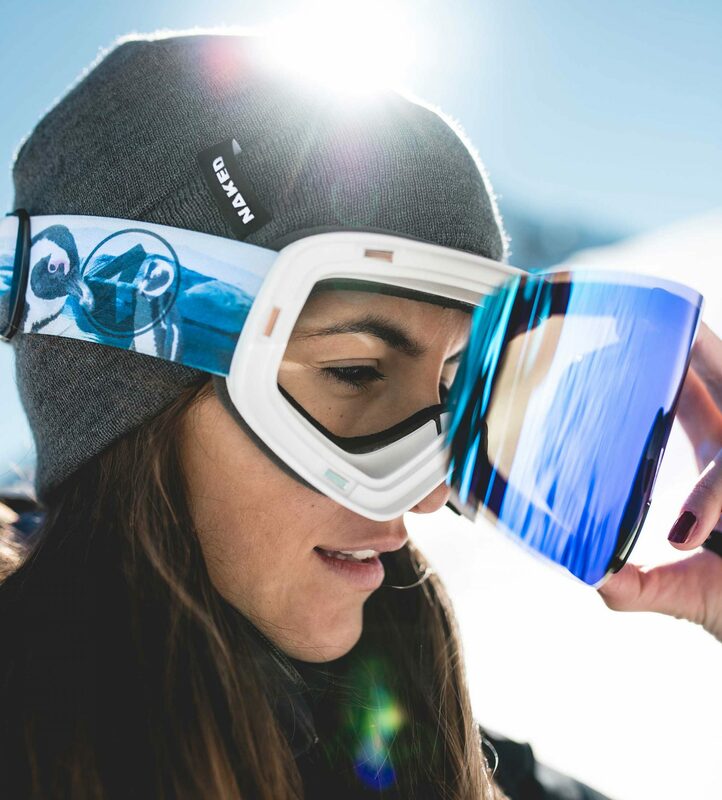 Naked sent us two of their snow goggles to check out: the Force EVO with magnetic SnapTech lens exchange system and the Troop EVO, a rimless goggle also with a magnetic lens fixture. Both goggles came securely packed in hardshell cases, standard for all Naked orders, with two lenses each: a Cat. 1 lens for low light and Cat. 2 lens for all-round use. Today we'll be looking at... um... these goggles. Let’s start with a look at Naked’s flagship: the Troop EVO (€69.99). 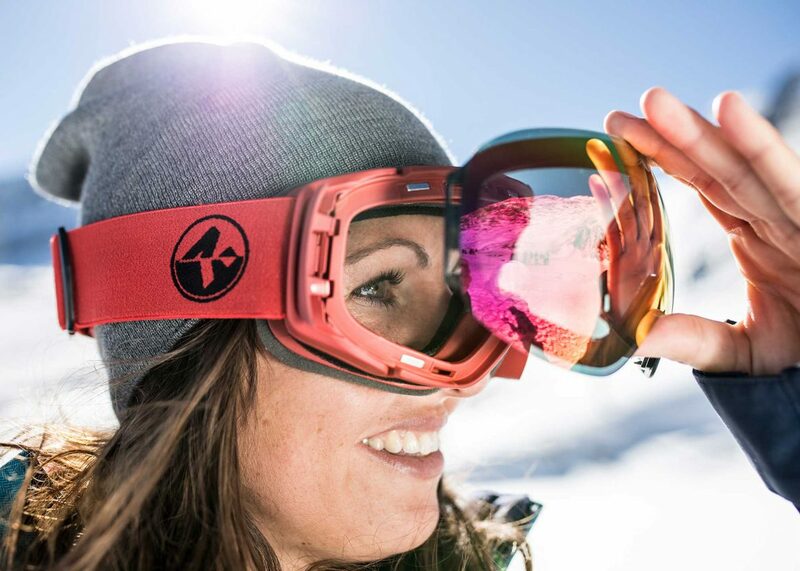 According to the company, this goggle has been fully redesigned for 2019, with thinner, lighter lenses and changes to the magnet retention system for 30% stronger holding power. At first glance, the Troop is obviously a fashion-forward goggle. It comes in five different frame colors and eye-catching strap motifs — we received the version with the “Flamingo” strap. Its massive cylindrical lens is frameless, the lens completely covering overlapping the frame. The big-frameless-lens style, in addition to being a popular look, is a suitable pick for bigger faces (no chance of this goggle looking “too small” on anyone) and also gives several additional degrees of peripheral vision. Its deep cheeks and angular cut around the nose lends it a similar appearance to the NFX goggle from Dragon. The Troop's snap-on, snap-off magnet retention system is as user-friendly as they come. As convenient as this system may be—as noted above, it’s the fastest, most painless lens swap we’ve seen yet—it’s also our main sticking point on the Troop. While we wouldn’t go as far as to call it unstable, the lens pops out easily with only a minimal twist of the frame. Anyone who’s ever had a lens pop out of its frame while riding knows that this can be a frustrating equipment malfunction, and the Troop’s magnet-only fastening system only makes this possibility more likely. If heavy impacts and smashing your face into the snow repeatedly while tomahawking down a landing are regular parts of your on-hill activities, there’s a decent chance that this lens retention system could suddenly transform into a “lens eject system.” If, on the other hand, your riding style is more casual, you may appreciate the Troop’s easy-on, easy-off qualities more. 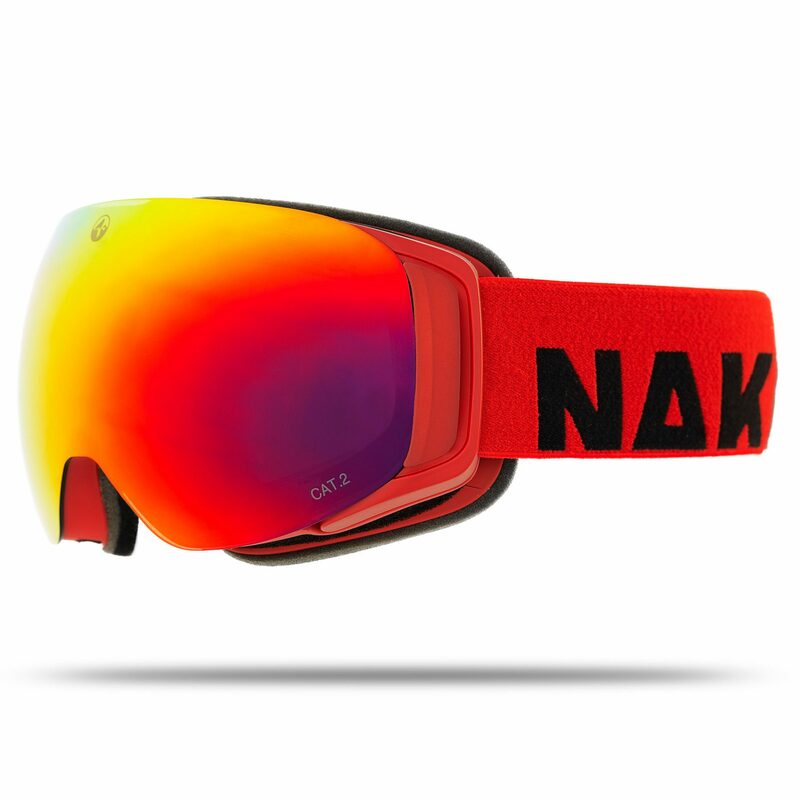 Naked’s solution to this potential issue is built into the other goggle we looked at, the Force EVO (€69.99). This model also uses the magnetic SnapLock system, but augments it with Naked’s LensLock system: hinged clasps on both sides of the goggle to lock the lens into place. The system is only minimally more complicated: just flip up the clips on either side before popping the lens off the frame. Like the Troop, the Force also features a mostly frameless look, with only the side clips overlapping onto the lens. Otherwise, its lenses are spherical, and while still quite large in comparison with other manufacturers, don’t immediately scream “I love huge goggles.” In appearance and function, the Force seems like a more performance-oriented version of its bigger brother the Troop. It’s also got more venting, with perforated-plastic foam-covered airflow vents running along the bottom and sides of the frame. Goggle fog is the bane of any serious rider’s existence, and with the Force, Naked promises that “the goggles will not fog even on the toughest climbs.” We’ll be honest here though: we haven’t discovered a completely fog-proof goggle yet. The Force EVO's SnapTech magnets are backed up by quick-flip clips for stronger retention. The construction of both the Force and the Troop models appears solid. The frames are hard plastic, with perforated plastic reinforcement protecting the top vents—a common weak point in goggles. Both feature three-layer foam for a comfortable, snug fit, and the thin silicone strip running along the inside of the strap as a “strap-grip” is a thoughtful functional addition. The price point, however, is where these goggles really shine. The Troop EVO and Force EVO are both priced at a wallet-pleasing €69.99, markedly lower than similar magnetic-retention models from other eyewear manufacturers. 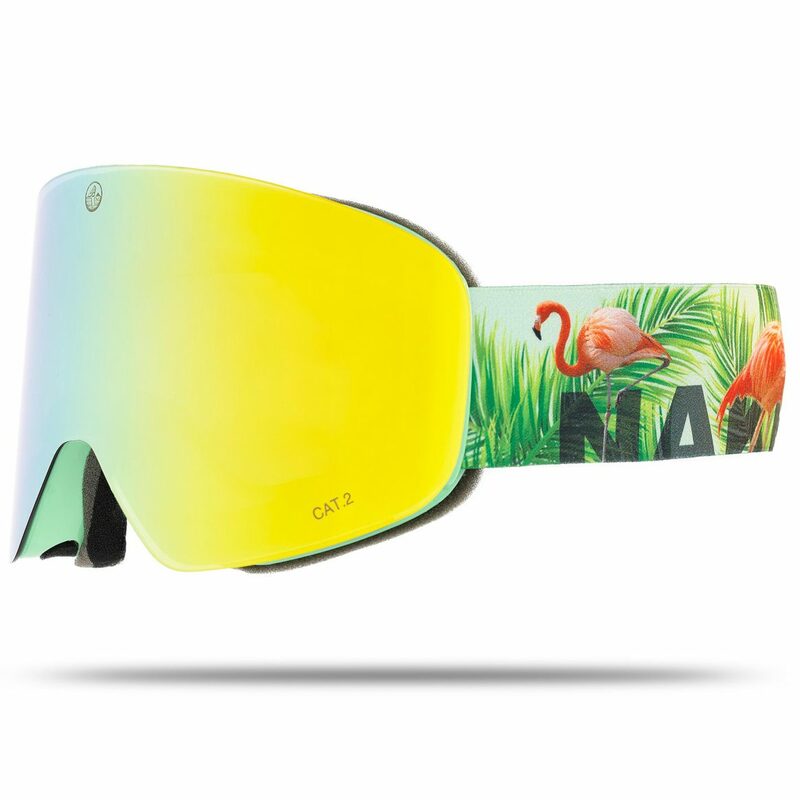 A goggle and an extra lens goes for just €94.99 on Naked’s online shop—just compare that to the pricing on, say, Smith’s I/O Mag (€240) or Anon’s M2 (€270). Extra lenses cost just €29.99, less than half the price of other companies. The only other sticking point with Naked is in the relative lack of information about their lens tech. They offer five different lens types—Bad Weather (Category 1), Blue and Yellow (Category 2), Purple (Category 3) and Black (Category 4)—but aside from mentioning a NeverFog coating and UV protection, don’t go into much detail on the bells and whistles of Naked’s optics. Given this, we can’t help but wonder if some of the price-point savings is happening in the lens department — fancy lens technologies being a main factor in the higher prices from other manufacturers. All in all, the Troop and the Force both seem to indicate that Naked Optics is what’s advertised: a “by riders, for riders” company delivering similar quality at a lower price than the competition. If you’re in the market for an affordable, stylish pair of goggles with some cool magnet tech, either one of these goggles will fit the bill.